Public sector organizations are fundamentally different to their private sector counterparts. They are multi-functional, follow a political leadership, and the majority do not operate in an external market. In an era of rapid reform, reorganization and modernization of the public sector, this book offers a timely and illuminating introduction to the public sector organization that recognizes its unique values, interests, knowledge and power-base. This volume challenges conventional economic analysis of the public sector, arguing instead for a democratic-political approach and a new, prescriptive organization theory. 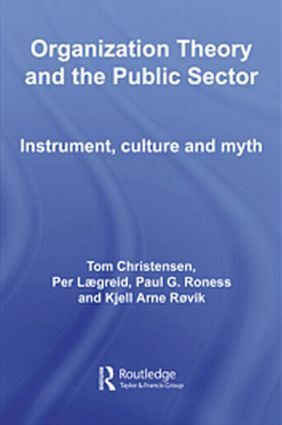 A rich resource of both theory and practice, Organization Theory for the Public Sector: Instrument, Culture and Myth is essential reading for anybody studying the public sector.